We are a professional and family-run dive centre located in Oia, one of the most characteristic and beautiful settlements in Santorini. 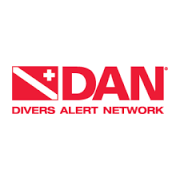 Atlantis Dive Centre is owned by Apostolos Stylianopoulos and Marta Fortes Vilaltella. 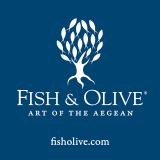 With his 20 years of experience on the island, Apostolos knows Santorini very well – above and underwater. He is a PADI Master Instructor, the first Cousteau diving instructor in Greece, and a Speedboat captain instructor. Marta is a recreational diver and shares Apostolos’s passion for the sea. 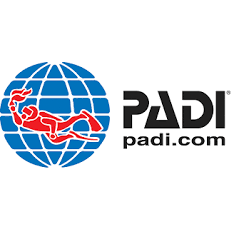 Atlantis is a member of PADI, the world wide trusted Professional Association of Diving Instructors, and scuba diving training organization. We are also one of the few Cousteau Dive Centres in the world, which highlights our commitment to protecting the environment, especially regarding our island. We have been trying since 2010, together with Pierre-Yves Cousteau, to establish a Marine Protected Area on the coast of Santorini. Many steps have already been completed, and we hope to achieve our final goal soon. 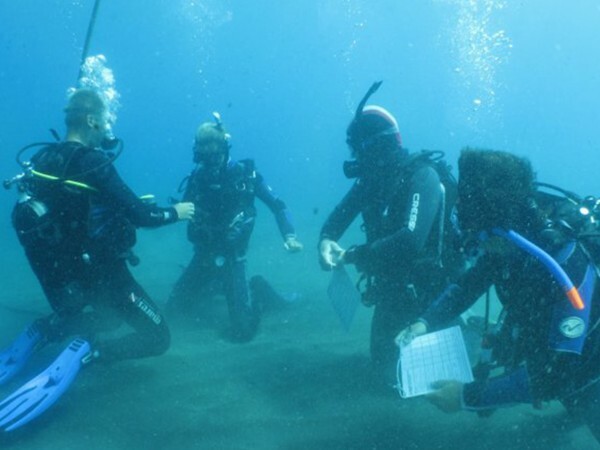 Whether you are an experienced diver or you want to try it for first time, we offer the ideal programme or course. Our instructors are certified professionals and we are dedicated to making your experience safe with a friendly and enjoyable atmosphere. We go out twice a day – in the morning and afternoon. Starting from our diving school in Oia, we drive you to the beautiful traditional port of Amoudi, where our boats are moored. You dive together with our instructors near the volcanic islands of Caldera, Nea Kameni, Palea Kameni, Thirasia and Aspronisi. In the under-water world of Santorini, you will be able to dive among reefs, wrecks, and experience wall diving, cave diving and visiting the first underwater memorial plaque of Jacques-Yves Cousteau. Before the big eruption (about 1630BC), Santorini was a large circular island that during the Bronze Age was populated by a large and vibrant civilisation of Minoans, as the ruins and geologic and archeological investigations can tell us. During the eruption, the central highland of the volcanic island collapsed to generate the modern caldera. The fragments remainded now form the three-island archipelago of Thera, Therasia, and Aspronisi. Later on, the Venetians named the island “Santorini” as it is known nowadays. The similarities between Plato’s description and the history of Santorini has inspired many expeditions of geologist, archeologist, explorers, scientist and adventurers searching for this Lost Atlantis. An example is Jacques-Yves Cousteau, who made a great effort looking for Atlantis on the island. 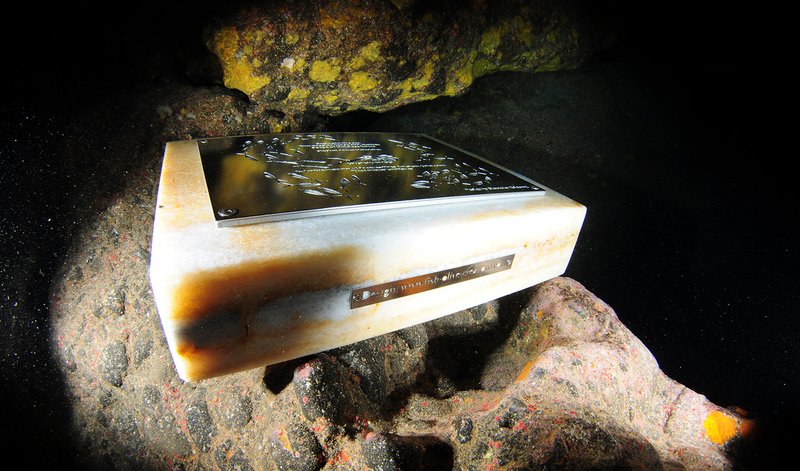 In 2011, an underwater memorial plaque of Jacques-Yves Cousteau was placed in a special cave off the coast of Santorini commemorating Cousteau’s 101st anniversary and his expeditions in Santorini looking for the lost Atlantis. The plaque was designed by the great artist and simbol of the Mediterranean art Alexander Reichardt. Pierre-Yves Cousteau led the event representing the Cousteau Divers, honoring his father and its passion for the oceans. Apostolos Stylianopoulos from Atlantis Dive Center, is in charge of the maintenance of this underwater monument that only divers can visit. Santorini is a group of volcanic islands with exciting and unique lava formations – the result of a huge eruption which happened 3500 years ago. With beautiful typical architecture, villages built on the edge of the caldera cliffs, the heritage of an ancient civilization as well as impressive geology and nature, Santorini has a lot to show to you. 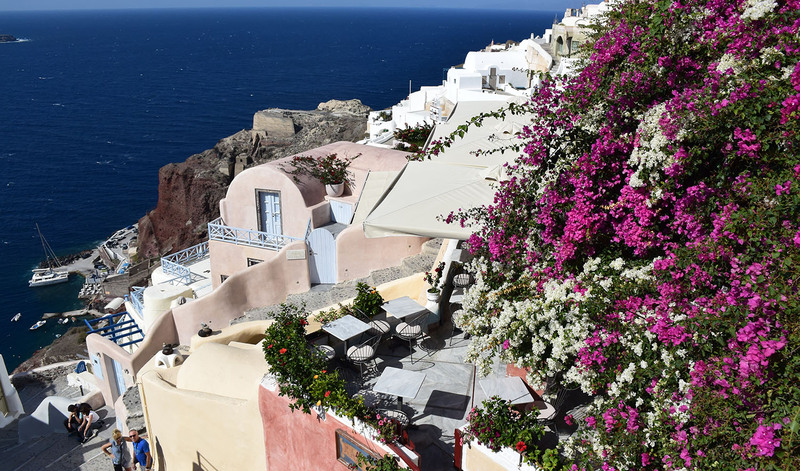 Oia, where Atlantis Dive Center is located, is the village that most typifies the white houses and blue roofs of Santorini. It sits perched 200 metres above the sea with houses built one over the other or in in caves. Its architecture has been protected since 1976 by the programme for preservation and development of traditional settlements of the Greek National Tourism Organisation. If thinking on Greece, Santorini is the perfect location for you to have a great holiday, including diving and snorkeling experience! The diving center Atlantis in Oia will help you to explore the underwater landscape of Santorini. 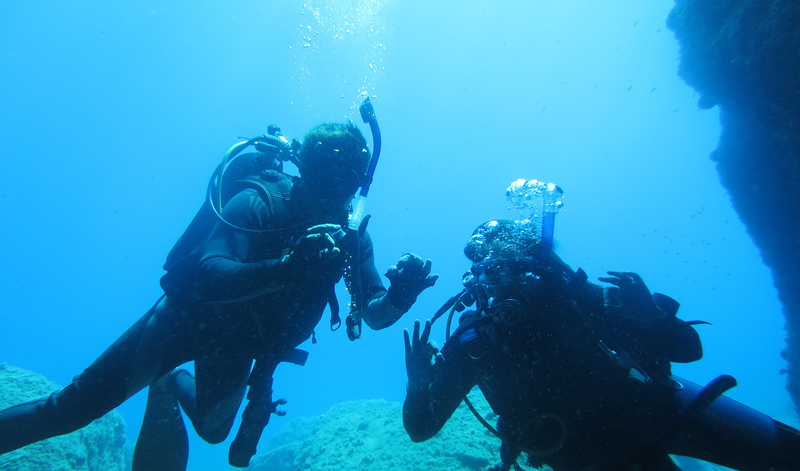 We offer private diving courses, diving excursions in Santorini. We start diving excursions around the Caldera of Santorini and the islands every day, also there are available diving courses for all levels. 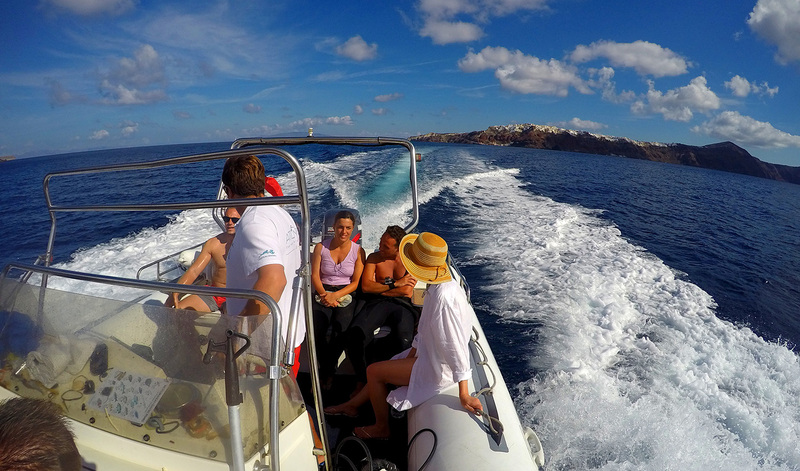 Diving with us is a great way to enjoy your holiday with family or friends to the amazing island of Santorini!